Not much gets a Minnesota kid more excited than a snow day! Last week, my kids were really hoping that school would be cancelled due to the cold weather and blizzard conditions. Unfortunately, they didn’t get a day off, but they were super happy that they got two late starts and an early dismissal. They blame the fact that they didn’t get a day off, even though the school in surrounding communities did, on their superintendent. The kids say that he used to live in Alaska, so he doesn’t get too worried about the weather in Minnesota. 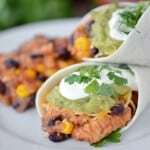 One of the day’s last week, I made Crock Pot Chicken Burritos for dinner and we love how they turned out. Cut chicken into cubes, place it in the slow cooker and sprinkle with a packet of taco seasoning. Add salsa and stir to coat the chicken. Next, add some frozen corn. And some rinsed and drained black beans. Sprinkle with rice. Then, pour the chicken broth over the top of the rice. 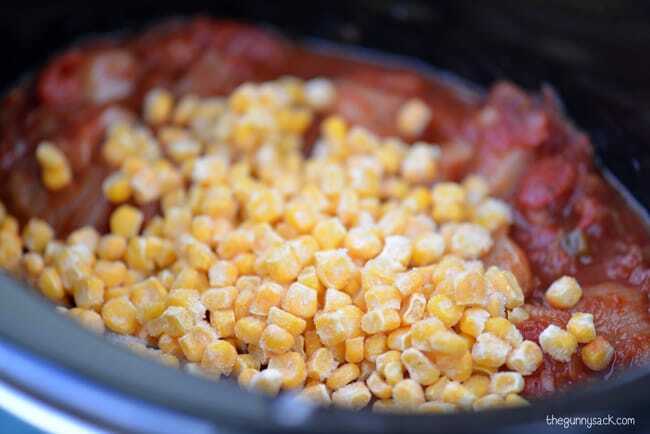 Gently stir together the rice, corn and beans, leaving the chicken on the bottom of the crock pot. Note: Adding the rice to the crock pot makes it soft and a little mushy. If you are super picky about your rice, leave the rice and broth out of the crock pot and cook your rice separately. Cook on low for 3 1/2 hours, stir the top layer of rice, corn and beans after 2 hours. After 3 1/2 hours, mix everything together and check to see if the chicken is fully cooked. Continue cooking for an additional 30 minutes or until fully cooked. 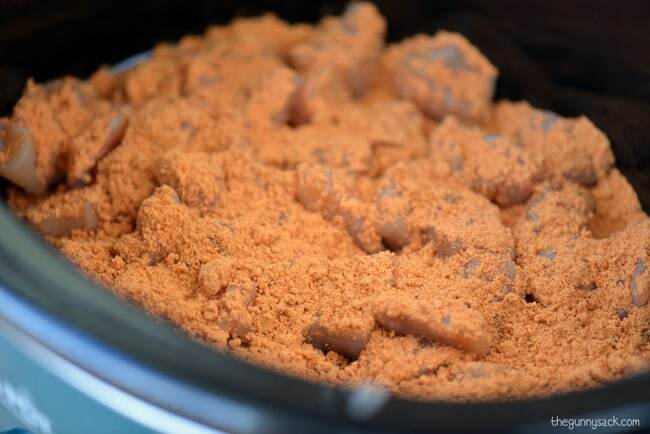 If there is too much liquid in the slow cooker, leave the lid off for the last 20-30 minutes. Use the chicken burrito mixture to fill tortilla shells and top them with cheese, guacamole, salsa, sour cream and cilantro. 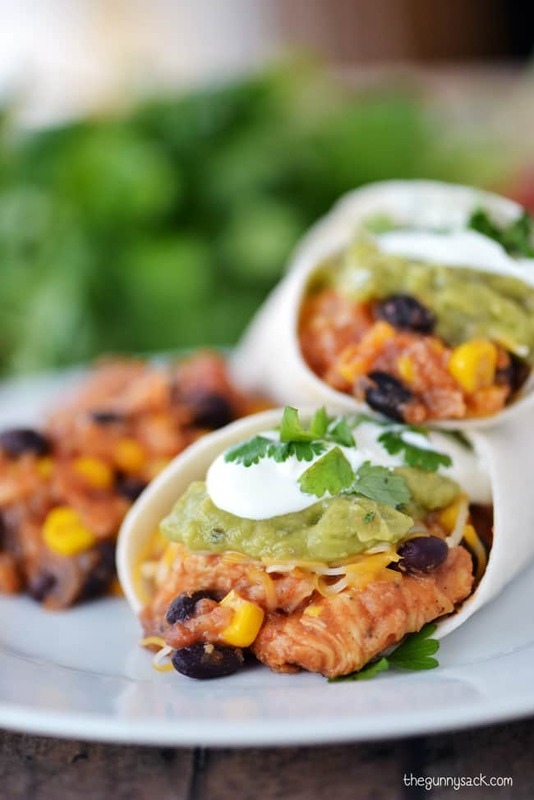 We loved how these Crock Pot Chicken Burritos turned out! I warmed up some of the leftovers for lunch the next day and ate them with tortilla chips. 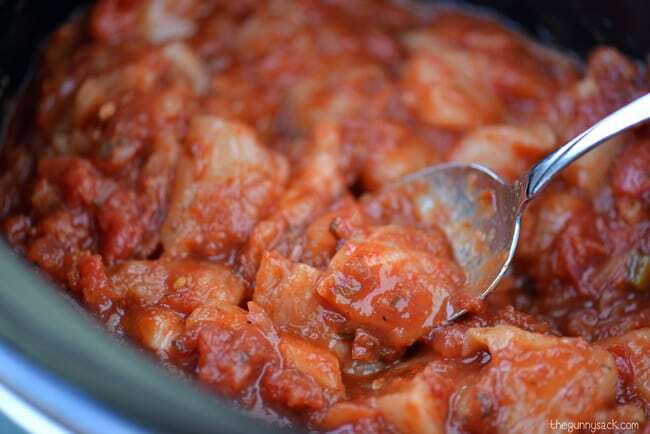 Cut the chicken breasts into cubes and put them in the crock pot. Add salsa and stir to coat. 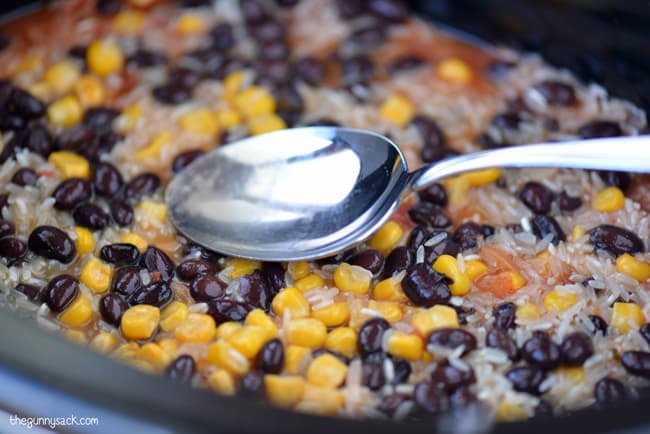 Top with corn, black beans, rice and chicken broth, gently stir these 4 top ingredients, leaving the chicken on the bottom. Cook on low for 3 1/2 hours, stirring the top layer after 2 hours. After 3 1/2 hours, stir everything together and check to see if the chicken is fully cooked. Continue cooking for an additional 30 minutes, if necessary. If there is too much liquid, leave the lid off for the final 20-30 minutes. This came out delicious, but the rice was completely raw. I drained the mixture and added some more broth to the liquid I drained, brought that to a boil and then added the chicken rice etc. To thr pot, reduced to simmer and covered for 15 minutes. Turned out great after that! I’m crazy about Mexican food, and I love slow cooker recipes since they make my life so much easier. Can’t wait to try these, Tonia! It never gets really cold here but I am big on slow cooker recipes. Looks great! 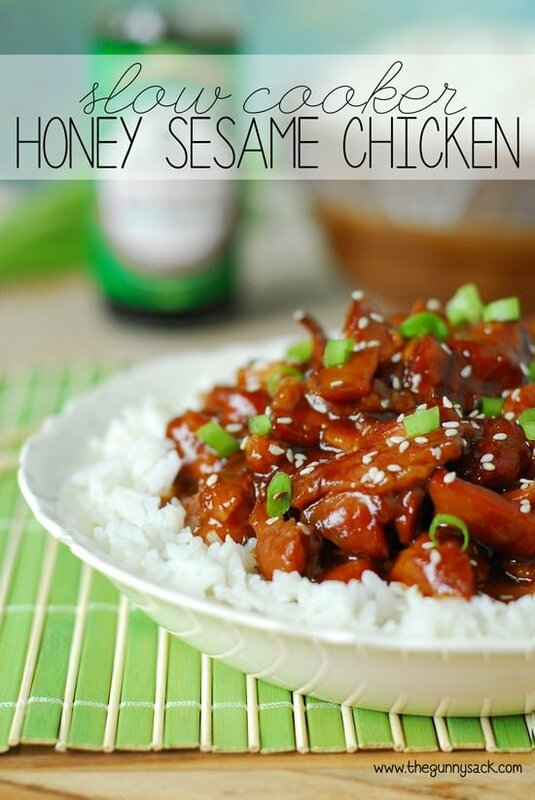 This is one of my all time favorite slow cooker meals. Beautiful presentation! OH yum!! So incredible. I love this idea! Looks really easy and delicious. Once in my life I think I’d like to have a snow day. 🙂 And I could make these! They look amazing. Pinned! Yeah, I’d like to have an adult snow day…one where the kids still have to go to school! Thanks Dorothy! 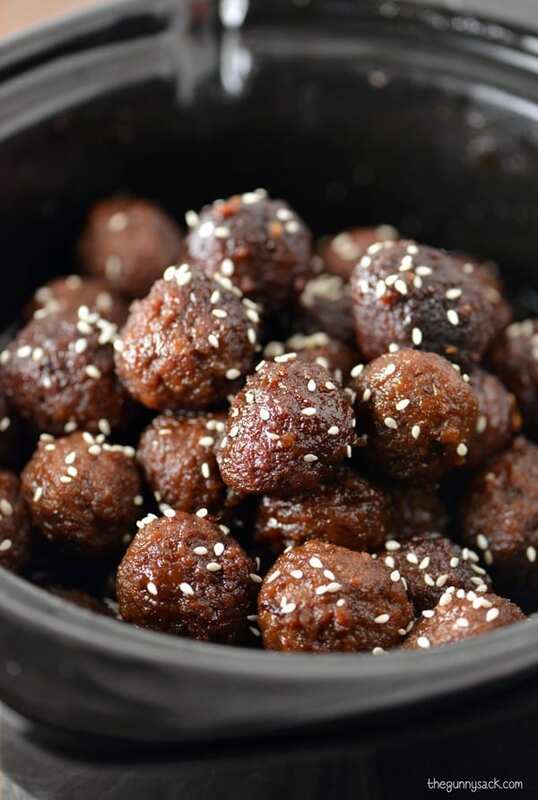 These look absolutely perfect for a weeknight meal! So true! I made it twice and gave the second batch to my sister. Thanks Jennifer! I remember growing up in MN, they never cancelled school! But now I live in IL, and they had 2 “cold” days just last week! This recipe is going on the menu for next week! Pinning! I hear ya! We are Minnesota tough, right? Thanks Beth! I now have a serious burrito craving! 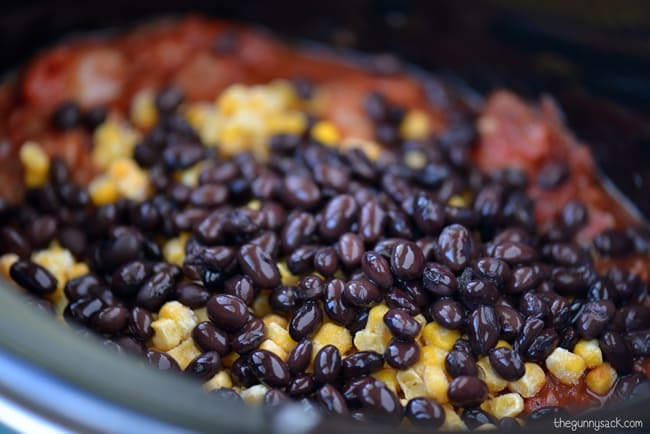 I have been using my crock pot so much lately, and I cannot wait to try this recipe! Pinned! Me too! I’m trying to use it more this winter because it makes things so easy! 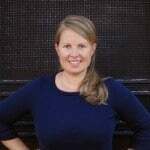 Thanks Kristine! I want to stuff my face right into these burritos. I’m ALWAYS craving Mexican food. These burritos are making me want it even more! So am I!! It’s like the more you eat it, the more you crave it! Thanks Julie! I love slow cooker meals, especially simple ones like this! We don’t get many snow days here either, but we have had some school days cancelled because of extreme cold: -45 Celsius or colder! This would be perfect for these frigid days! Yes! That is what they do here. The superintendent told my daughter that if he can see the water tower next to his house, he isn’t cancelling school. Thanks Ashley! Yeah, but I heard that some schools are making kids be in class virtually from home, on snow days now! While I understand why the school wants that, it makes me sad for the kids. Thanks Heather! 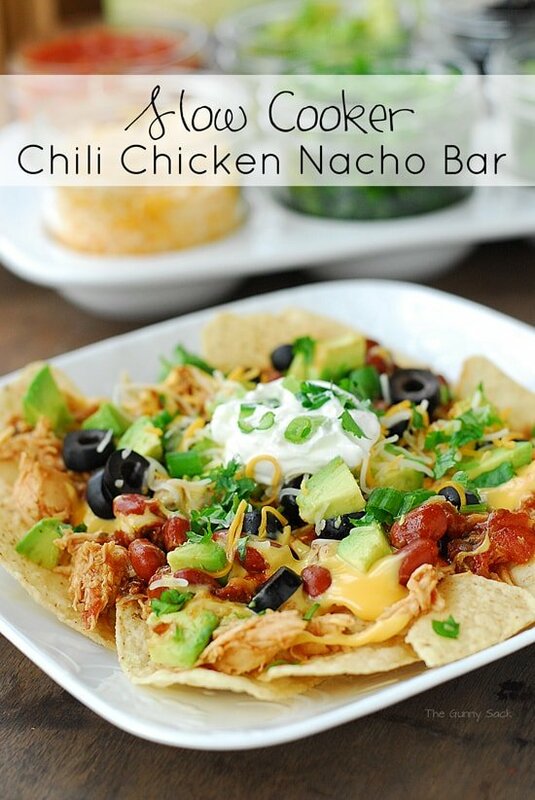 We LOVE Mexican food here, and I love how easy this is to make! WInner! I often dread making dinner, so I love the easy recipes! Thanks Stephanie! 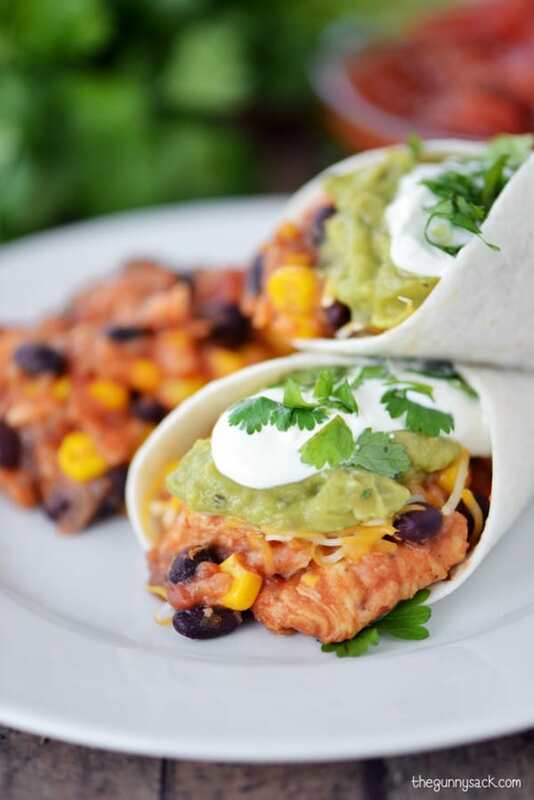 These burritos look so flavorful and delicious! I love that you made them in the slow cooker. I do love burritos, but I love scooping the filling up with tortilla chips, even more! Thanks Brandy! This is such a great comfort food meal! You got it! It’s warm, cheesy and topped with sour cream! Thanks Christine! A perfect recipe for a chilly day, Tonia! It’s 30 degrees this morning here in Cleveland and it feels downright tropical! They keep promising that warmer weather is on the way so I’ve got my fingers crossed! Thanks Melanie! My husband would LOVE these since he’s all about anything Mexican. I of course would too since there’s very little prep time! The less prep the better, right? Thanks Kristy!